In order to use both datasets on the paper Assigning Relative Importance to Scene Elements, it was necessary to generate importance annotations, since they are not provided along dataset images. 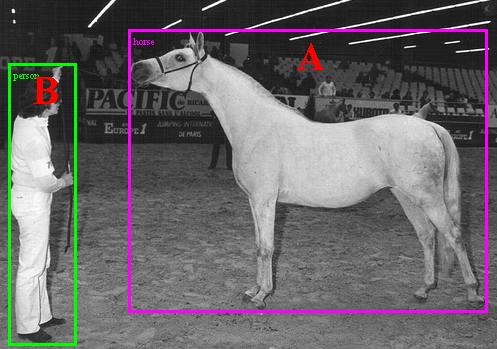 In addition, the VIP dataset does not provide element (people) bounding boxes and so, it was necessary to annotate these elements before using this dataset. VIP boxes annotations are available in: vip_boxes. In order to allow the reproduction of the experiments, we also provide the boxes of the UIUC Pascal sentence dataset, available in: uiuc_boxes. VIP: C. S. Mathialagan, A. C. Gallagher, and D. Batra, “VIP: Finding Important People in Images.” in CVPR, 2015, pp. 4858–4866. UIUC Pascal Sentence: C. Rashtchian, P. Young, M. Hodosh, and J. Hockenmaier, “Collecting Image Annotations using Amazon’s Mechanical Turk,” in Proceedings of the NAACL HLT 2010 Workshop on Creating Speech and Language Data with Amazon’s Mechanical Turk, ser. CSLDAMT ’10, 2010, pp. 139–147.